The Blu Pro Berry Swirl E-Liquid (50ml) delivers the taste of a freshly made berry smoothie, with notes of strawberry, raspberry, cream and more for use with the Blu Pro E-Cigarette. Five bottles are included, making it easier for you to stock up on your favourite flavours. With notes of strawberry, raspberry, blueberry and cream, Berry Swirl e-liquid delivers the great taste of a classic berry smoothie. A fruity and fresh blend of sweet and sharp flavours, it's a great e-liquid for any vaper who loves smoothies. For a more balanced vapour, Berry Swirl e-liquid features a VG/PG mix of 30/70. 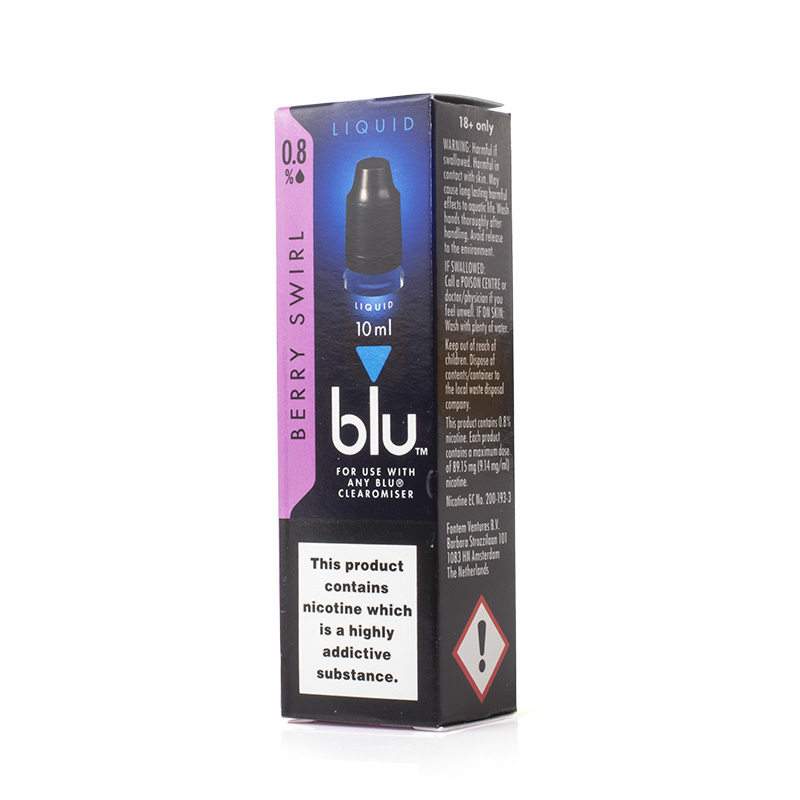 Blu Pro Berry Swirl is supplied with an 8mg nicotine strength. 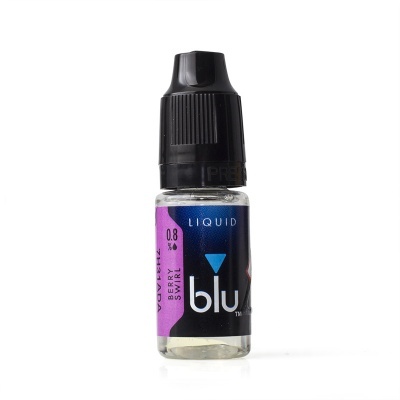 The Blu Pro Berry Swirl E-Liquid (50ml) is supplied in 50ml volumes (5 x 10ml bottles).